“Making a giant splash one SeaLife mural at a time” Artist David Dunleavy is set to paint the world’s largest Mahi Mahi mural in Tavernier, FL at Tavernier Creek Marina. Tavernier, FL - Artist David Dunleavy is scheduled to paint one of his famous “SeaLife Murals” at Tavernier Creek Marina beginning in October 2015. The final details are in motion for Dunleavy to paint “SeaLife Mural # 62” Titled “Dolphin Rodeo” measuring 32 feet high by 252 feet long. The new mural will clearly be the largest SeaLife mural in the Florida Keys and also the Largest Mahi Mahi Mural in the world which is a perfect fit for the sport fishing capital of the world. This will be David’s 4th SeaLife mural in the Keys. Dunleavy states “the appreciation for his SeaLife Art from the Florida Keys over the years has been no less than phenomenal. 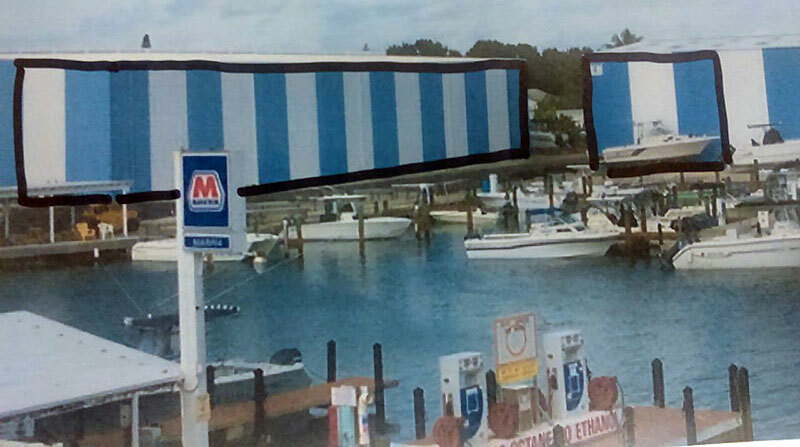 Dunleavy is very excited to get started on the new “Dolphin Rodeo” mural in October and all of the positive attention the mural will bring to Tavernier Creek Marina. Dunleavy has plans to complete the mural in 30 days and the public is invited to watch the mural develop daily. The wall has excellent exposure and can’t be missed driving south on Highway 1 and I’m extra energized to dive in and start painting. As a an avid fisherman and scuba diver, I will take all the inspiration and beauty from local fishing & diving experiences and paint it on the wall for people to enjoy for many years to come. David Dunleavy SeaLife Murals are designed to encourage people to go outside, explore and enjoy the great outdoor water world while treading lightly. Dunleavy’s SeaLife Murals influence people to go boating, take a kid fishing, teach children catch & release ethics and fish within regulations for sustainable fisheries for future generations. The SeaLife Murals are also designed to encourage people to go kayaking or try a SUP, and to feel the ultimate under water world experience go Scuba Diving or try snorkeling. The public is invited to stop by and take pictures of the mural as it develops and enjoy the Marina states Tony Priu marina owner. We are very excited to have Dunleavy here painting one of his awesome murals. The new mural will have excellent exposure and will be seen by hundreds of thousand people yearly and will likely become a new Landmark for the Keys. Dunleavy’s SeaLife Murals can be seen in the U.S., the Bahamas Islands and local murals at the History of Diving Museum in Islamorada and the Welcome Center in Key Largo. A celebration for the mural will coincide with the annual Nick Sheahan Dolphin Rodeo Tournament held at Tavernier Creek Marina along with Mayor Mike Forster and City Officials. Sherwin Williams donated the paint and Sunbelt Rentals donated the Scissor Lift used to complete the mural. Stop by to see the mural in progress this October and meet the artist! For more information please contact David Dunleavy Art at 609-408-5737.